In Colorado, most vehicles have to pass an emissions inspection prior to being able to renew license plates. Going to the actual emissions inspection stations is a pain and can be time consuming, especially, if you can’t plan around weekends, lunch breaks, and standard work hours. Fortunately, there is a way to skip emissions testing in Colorado at the emissions testing locations. Check out my review of Credit Sesame. There is a way to test your emissions without going to the emissions testing place. Simply drive past a Rapid Screen station twice in the year before your license plates are due and get a passing score. An example of a Rapid Screen roadside emissions test van. There are two catches. First, you have to have both passing scores at least 60 days before your license plates are due. That means you have to be thinking about emissions BEFORE the notice for license plate renewal shows up in the mail. The second catch is that you have to actually drive past one of the Rapid Screen locations to get tested. Depending upon where you live and drive, this might happen for you automatically. For others, you may never drive past a remote, roadside emissions testing van without deliberately doing so. Fortunately, the location of the Rapid Screen test locations is not a secret. You can look them up on the RapidScreen section of the Air Care Colorado website. It tells you not only where the stations will be this week, but the following week as well. If it’s still 60 days or more until your license plates expire, you should look up where the stations are and plan to drive past one or more a few times. Remember, you need two passing scores, and sometimes things can interfere with your scores, such as wind, other cars, or other factors beyond your control. So, make sure to drive by one more than just two times to take into account any problematic tests. I used to ski a lot. We’d get 50 day seasons easy back in college. We always talked about taking a year off and getting a 100 day season, but I never did. Of course, this was back when it really snowed in Colorado. I mean, REALLY snowed. Bases at Wolf Creek well over 100″. A solid 50+ inches in Summit County by January. Man, those were the days. Whether it’s global warming, or just a drought (it’s both), we don’t really get ski seasons like that any more. Anyway, I haven’t skied much in the last 10 years. No particular reason, just adult life comes with a lot more opportunities, and without the student discount, the season pass really costs A LOT of money, like trip to Vegas money for the me and my wife. Fast forward, and I have kids, and they want to ski. So, we grab some rentals and take some lessons. The older one is down and picks it up pretty well. The younger? Not so much. So, here we are again, a few more years later and a snowboard lesson, and it looks like the kids are in, which means we’re in. No need to worry about season passes though. With school and activities, and sports, and… and… and… there’s no way we’ll get up to the mountains more than once or twice a month. 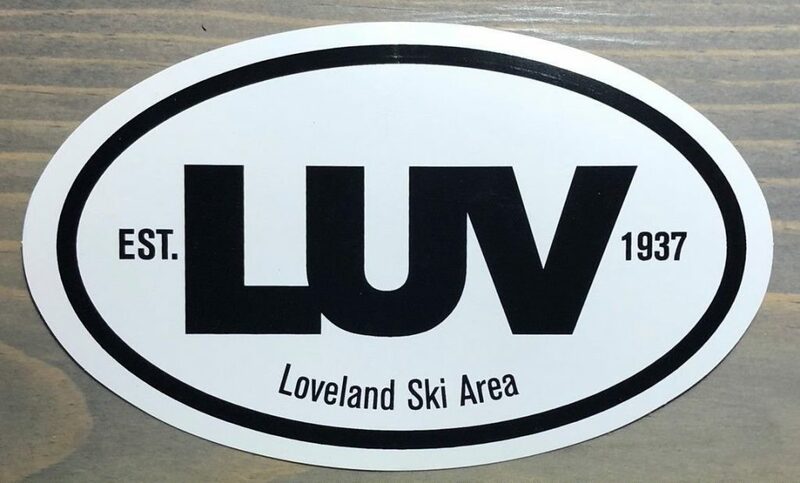 At that price, we’re better off grabbing other discounts like the 4-Pack at Loveland Ski Area. The 4-Pack from Loveland is one of the best ski deals in Colorado because it’s just four discounted lift tickets. Use them any way you want, any time you want, including mixing and matching who uses them. So, if it turns out it’s just me and one of the kids, or all four of us, or whatever, we just keep using these until we run out. At a lot of other areas, the four packs are person specific, as in I have to use my four tickets, and each of them has to use their four tickets, and so on. That’s a lot of being pretty sure about how often, and where you want to ski. Anyway, I’m sore today, which has never been a problem in the past. Part of it is being older, but a lot of it is being out of shape, which is something I should be working on anyway. One more motivation, eh? If I can swing it, we’ll ride the Ski Train up to Winter Park this year. That’s always a fun deal when you get the chance. I’ll have to see if it fits into the schedule and isn’t already sold out, and won’t cost as much as going to DisneyWorld….